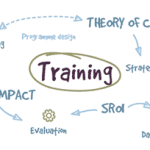 NEF Consulting run regular open training courses on Creating a Theory of Change. We also offer in-house and bespoke training, as well as consultancy support, to help organisations create a Theory of Change and to implement change. See below for more information on our open and in-house training but please contact us if you’d like to discuss options. A Theory of Change (ToC) is a powerful tool that helps organisations and initiatives plan how they will create change, assess their effectiveness and communicate to stakeholders. It is used widely by charities, social enterprises, the public sector and even by mainstream businesses who are recognising its potential. A ToC is normally depicted as a map, or a journey, linking the activities of a programme, intervention or organisation to the short-term, medium-term and long-term outcomes experienced by stakeholders. It is a living diagram and narrative that should be updated as the work of the organisation changes. Using qualitative approaches to gain an intimate understanding of how an intervention impacts on the lives of those affected leads to better quantitative analysis and modelling at later stages of an SROI analysis. Before you can start to value, you need data on outcomes; and before you collect data on outcomes, you need to make sure you are measuring the appropriate outcomes. A strong Theory of Change helps make SROI modelling easier, communicating potential impact considerations such as deadweight and attribution. Our next open training workshop is 12 June. Click here to book. We can also run the workshop for groups on a date that suits you at our London offices or on site. It can be tailored to suit your needs. Minimum costs apply – contact us today for details. NEF has developed proven templates to run storyboard exercises in workshops and focus groups in a range of settings, gathering data directly from service users. NEF Consulting has constructed theories of change for a range of programmes. We have found that the best evaluations, including SROIs, are underpinned by strong theories of change developed early in the research process, so would recommend this course to anyone starting a new social impact project. During the day we explore what a theory of change is, how to construct one and best practice in conducting robust qualitative research. We limit numbers on the workshop to a maximum of 10 participants but open training workshop groups are generally considerably smaller enabling you to share ideas and ask questions about your organisation’s theory of change. The big picture: theory of change and its role in strategic planning and evaluation. Next steps: planning, verifying and communicating findings. Be able to describe a theory of change and when it is appropriate to use it. Understand what an outcome is and describe the similarities and differences between a theory of change and a logic model or impact map. Feel able to design a process and discussion guide for engaging with stakeholders. Feel confident using the component parts of a theory of change and to communicate their strategic value. Find a personal approach to visualising and describing a theory of change. Plan for how you will test and communicate your theory of change. Anyone looking to bring the strategic lens of theory of change to their planning or evaluation. If you have a project in mind, the course will offer the opportunity to map out your theory and gain feedback. 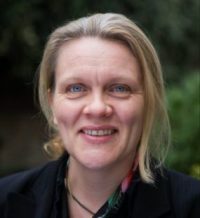 Elizabeth Cox is an experienced economist who has led the New Economics Foundation’s UK and international research on localities and local economies over 13 years, and has now taken up a position with NEF Consulting as Associate Director. Her work ranges from developing learning-based programmes around sustainability, supporting communities to develop community economic development plans, working with project teams to develop theories of change, to developing impact frameworks for social impact investors and social businesses, and research design. Forthcoming workshops : 12 June, London. Book here. Fee includes refreshments and lunch as well as training materials.